Colombia is an incredibly diverse and charming country where visitors and tourists run the risk that they may want to stay once they get to know the friendliness of the people, the magic of the landscapes, the aroma and taste of its excellent coffee, the beauty of its emeralds, and the cultures that have fascinated the world for centuries. Its extraordinary location on the northwestern tip of South America and at the center of the American continent facilitates bringing together visitors coming from places as diverse as the Americas, Asia, and Europe. 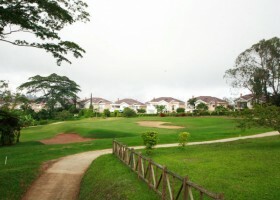 Colombia’s golf courses are regarded among the best in Latin America. Colombia’s special ambiance fosters incredible golfing experiences. Its tropical climate and the bimodal season regime across most of the country make it possible to enjoy constant luminosity and an equal number of daytime and nighttime hours 365 days a year. Colombia’s various regions are a perfect combination of landscapes, climates, and vegetation for all who enjoy playing golf in a welcoming, modern, and magical atmosphere every month of the year. 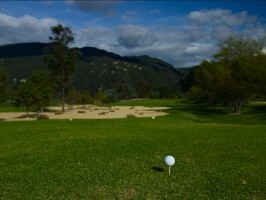 Colombia offers visitors over 50 challenging and entertaining golf courses. As an international golf destination, Colombia provides its visitors with more than 50 challenging and amusing courses that are considered among the best in Latin America. The courses were created in magical, exotic surroundings and designed by renowned figures such as Robert Trent Jones, Gary Player, Mark Mahannah, and Jack Nicklaus. The best Bentgrass and Kikuyo grasses were used for these internationally noted greens, fairways, and roughs. No doubt, the quality of the courses and the charm of their landscapes promise memorable experiences to tourists. Colombia’s golf infrastructure has a large potential. 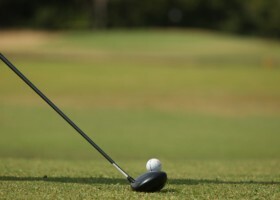 Golf is present throughout the Colombian territory and has been classified into zones that identify different golf destinations according to where they are located. Guaymaral golf course in the north of Bogotá. The savanna of Bogotá is located in the geographic center of Colombia, along the Eastern Andes Mountain range. It has an average temperature of 13.5°C, fluctuating between -5°C and 26ºC. Bogotá is known as the epicenter of golf in Colombia due to the quality and maintenance of its courses and, above all, for its fresh climate, which gives the sensation of constantly playing with air conditioning, allowing the player to practice golf 365 days a year. Bogotá is considered the nucleus of the country's golfing activity. The savanna in this central region of Colombia has 24 of the country's 50 golf courses. Owing to the altitude and the winds, playing golf in the savanna is always a challenge. The variety of designs, unexpected challenges and different styles of the courses make Bogotá's savanna a paradise for ardent golfers. 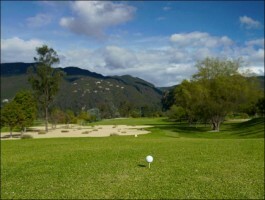 There are four golf courses in Antioquia. The department of Antioquia is situated in northwestern Colombia, Medellín, its capital, is the nation’s second city in terms of population and economic activity, which is based on agriculture, livestock, manufacturing and services. The Antioquia region has four professional level golf courses, all of which exhibit mountain landscapes, rugged topography, tall forests and exuberant vegetation. Antioquia is an excellent center for doing business. This zone has positioned itself as an environment favorable for doing business and a special place for enjoying the diversity and spirit of a beautiful region.